Little words of wisdom, to help us on our way. Sometimes all you need are the right words spoken at the right time. Join us for the Wisdom block of the month pieced sampler quilt, a Common Threads Original by Denice Lipscomb and fabric by Windham. This program includes inspirational sayings and quotes every month along with the pattern. This project is perfect for the advanced beginner, the seasoned quilter or a quilter who wants to hone their traditional piecing skills. The quilt features 15 different pieced blocks alternated with a pinwheel block. 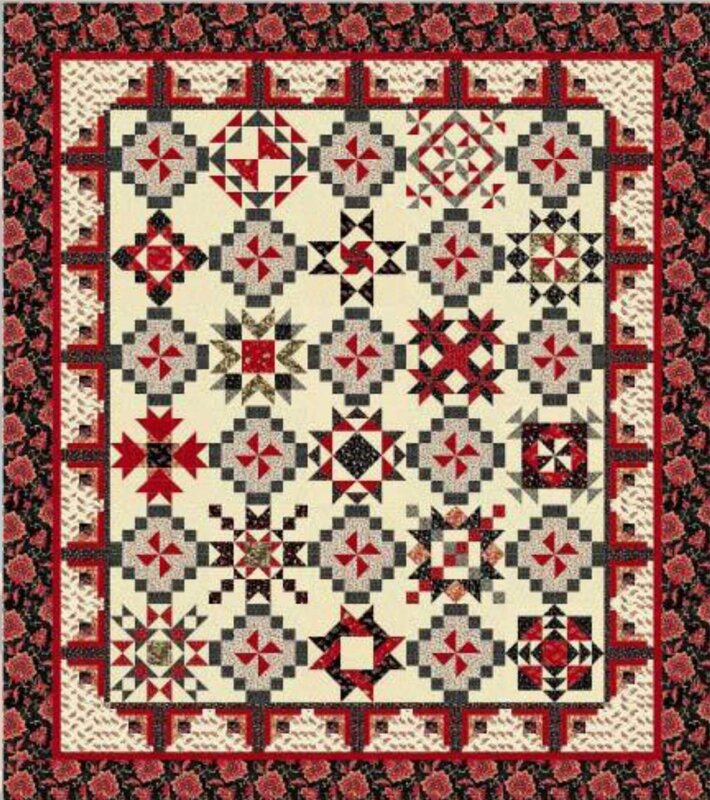 The log cabin inner border adds a delightful detail to the finishing of the quilt. With a few changes to the outer borders, our version will fit the deeper queen bed size utilizing over 20 meters of fabric. The block of the month includes the pattern and all the fabric for your quilt top and binding. Take a look at the fabric swatches for the true rich colours of the fabric that is not illustrated well in the full quilt picture. Full kit will be available for purchase.